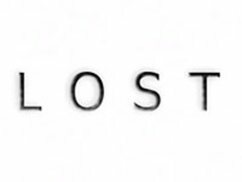 Browse: Simon Barker » TV/Movies » Lost Series Finale Review – The Long Con? Sure have mysterious stuff happening in the early series, but then explain some of that stuff, perhaps as happening because of their future actions in a later season – I thought we might get that when they were jumping through time, but again that idea seemed wasted when they go back and live in “Dharma-ville”, but don’t actually do much of consequence – then when they do and blow a hydrogen bomb…nothing happens but they get spit back out into present day time?!?!?! So it’s Purgatory in the end after all? All that time the casual viewers said it’s Purgatory, many of us loyal Lost fans had faith that it would be explained in a better way, but no, those people who stopped watching after 8 episodes were as good as right all along! Also I wonder if the writers original basic idea was that the island was purgatory, but when so many people were guessing that answer so early on they had to come up with a slightly different idea, so enter the sideways timeline that was purgatory, I wonder if that was just so they “got one” over the viewers again? Perhaps the moral of this story should be, if you don’t want a large number of your viewers to guess the ending way ahead of time, don’t try to be so damn mysterious and pose so many questions so that people speculate so much about potential storylines instead is talking about how good the previous episodes were? Flash sideways wasn’t even an alternate timeline created from the bomb explosion, so presumably, that detonation did nothing but explode? Perhaps I need to get back to watching the brilliant Fringe where Abrams’ writers seem to definitely know what direction they are going in and are actually moving story (alternate timeline plot) forward while still explaining stuff with a scientific rationale. Surely great TV shows are ones that you know you will want to enjoy again? Ones that have story threads which get tied together into a good story, it rewards you for your invested time in it like a good book, not something that you feel conned out of your time (and perhaps money) – perhaps that is the true lesson of Lost, beware of ‘the long con’ as it can waste a lot of your time and money? Perhaps the writers ‘lost’ interest in their own ideas as they were making it up as they went along? I get the sense from some of the smugness we’ve got from them as we’ve gone along is that the writers came up with some “cool looking ideas for scenes on screen” but then couldn’t think of decent reasoning for including it after the fact or they lost interest in it themselves. It makes for a pretty shoddy production after the fact, to be honest. JJ Abrams likes mystery boxes, but what we have here is almost nothing but mystery boxes and when you open one, you just a bunch more of them inside. I remember seeing an interview with Chris Carter about The X-Files, back in season 2 or 3 where he said something like they made stuff up as it went along and would write themselves into corners they couldn’t easily get out of – just look at the mess of a plot it got into with its conspiracy story! I honestly think that they ‘bottled it’ when it came to the island ending, even shows like Battlestar Galactica and Babylon 5 had the guts to go up in flames (so to speak) at the end, Lost had the chance, but no they couldn’t even blow up/destroy “The Island”, just tease you some more with Hurley and Ben “protecting The Island” from that point on. Overall, despite all the general negativity I now feel towards the series looking back on it all, while I was in the moment of watching the finale it was enjoyable, I didn’t expect much to be explained by that point, so with that low expectation, it was OK. It was mainly the last 5 minutes that truly ruined it mainly because, in my opinion, the concept could have been done so much better if that’s the direction they wanted to go in – you’ve just got to look at Ashes to Ashes as a finale that played with the same concepts, but executed in such a better and more fulfilling way, go watch that instead! Google Clicking Politician, Stargate Universe, An Independent Filmmaker & Monkey Island?